The Crystallographic Information File (CIF) is an archiving and information interchange standard for crystallographic and related structural science data promoted by the International Union for Crystallography. It is a restricted-syntax implementation of the general Self-Defining Text Archival and Retrieval (STAR) File format (Hall, 1991; Hall & Spadaccini, 1994). Names and attributes of standard data items are defined in publicly available collections known as data dictionaries under the authority of an IUCr Committee (COMCIFS). Any file claiming to be a crystallographic information file must conform to the specifications as herein laid out. Since CIF is an extensible format, files may be considered valid where they contain syntactically legal extensions to content beyond the standard data items as defined in public dictionaries. 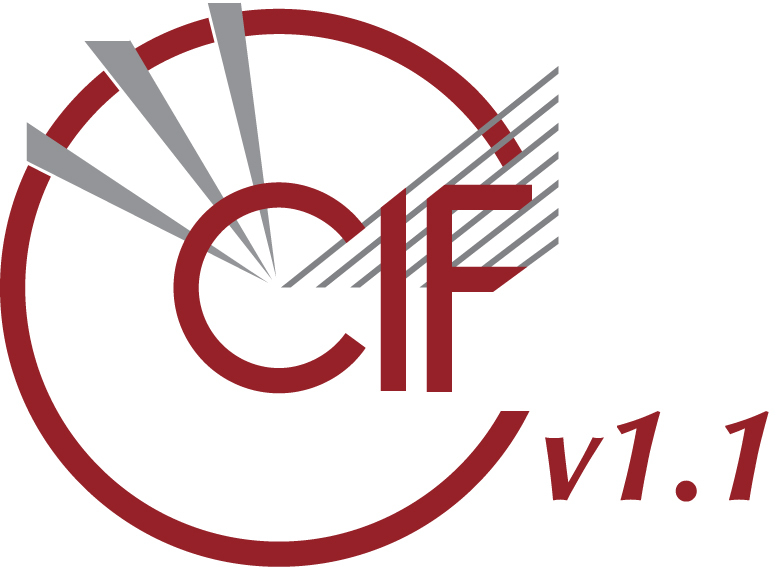 It is also inevitable that CIF software will be written to exploit various subsets of the information that may be conveyed in a CIF, and therefore not all software will be required to handle all content in a specific manner. However, all CIF conformant software must as a minimum be able to locate, extract or write data items in strict accordance with the syntax rules that form part of this specification. Version 1.1 Draft of 27 September 2002; approved by COMCIFS as working specification 10 December 2002; posted on IUCr web 24 February 2003. Version 1.0 Retrospective labelling of version described in original paper of Hall, Allen & Brown (1991), as amended by COMCIFS 29 January 1997. Hall, S. R. (1991). "The STAR File: A New Format for Electronic Data Transfer and Archiving", J. Chem. Inform. Comp. Sci. , 31, 326-333. Hall, S.R. & Spadaccini, N. (1994). "The STAR File: Detailed Specifications," J. Chem. Info. Comp. Sci. , 34, 505-508.